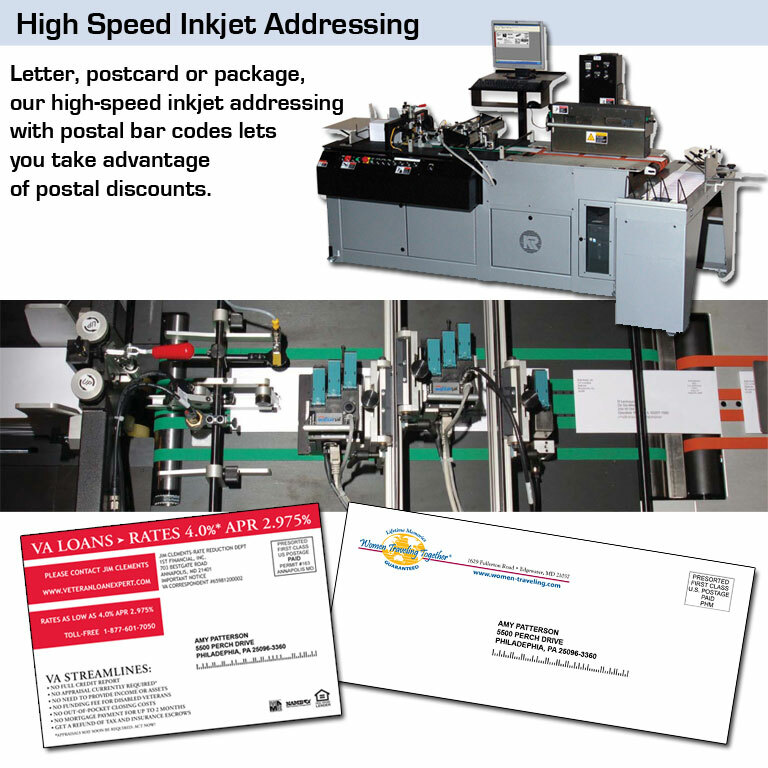 Post Haste offers several high-speed addressing alternatives. 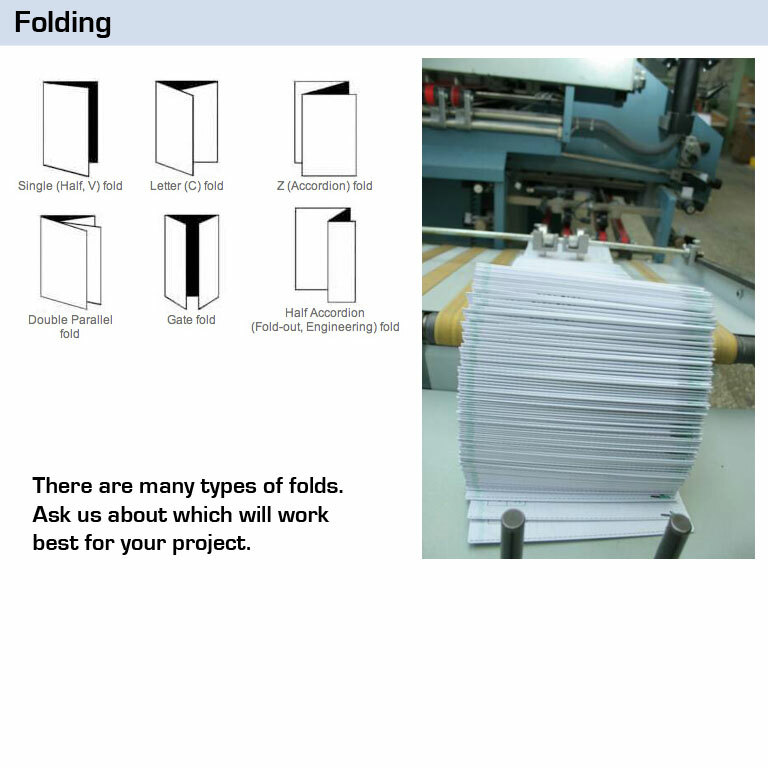 Whether you have millions of postcards or just a few hundred pieces, we have the solution that’s just right for you. With a variety of equipment from several different manufacturers, we can handle your most complex inserting jobs up to 8 inserts. With our experienced team of operators, you’re guaranteed fast turnaround and a professional look every time. We offer high speed stamping and wafer sealing that runs in line with all of our addressing equipment. With one of the only automated, high speed pieces of equipment in our market, Post Haste is your solution for polybagging. 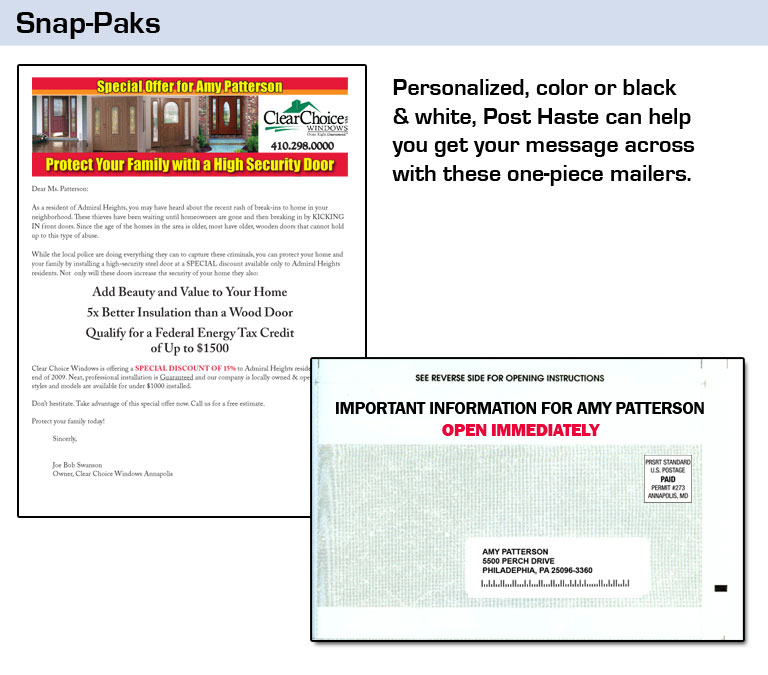 already know how valuable a tool Snap-Paks can be. No matter how complex, color or black and white, we have a solution to fit your budget. From 2-way matches to blind matches or more complex matching such as invoicing, we can create a custom solution for you. From “pick and pack” to high volume shipping, our experience and knowledge ensures your materials will be delivered on time. With over 100 years of combined experience in both domestic and International logistics, we can track it and get it there on time whatever “it” is -- for less than you’d imagine.